Gillespie, William. Keyhole Factory: A Novel. Berkeley: Soft Skull Press-Counterpoint, 2010. 368 pp. 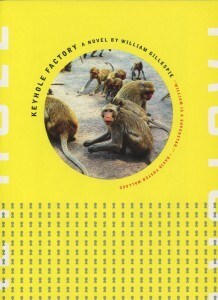 “Keyhole Factory,” a novel by William Gillespie. Summary: Keyhole Factory is a very strange book, indeed. William Gillespie claims he “would never have written such a weird book without my time spent [at ISU]” (email). One of his professors was David Foster Wallace, who said, “I’ve had very, very few superstars. William is a superstar” (keyholefactory.com). How to summarize a book where chapter titles are images that look like clip art facsimiles? Imagine a Table of Contents with two columns of images followed by page numbers, and the reader is forewarned about what awaits on this journey into the eccentric. Doug Nufer explains that “Gillespie works in a contemporary tradition whose foremost practitioners are members of the Oulipo, the Paris-based group of writers and mathematicians founded in 1960 by Raymond Queneau and François Le Lionnais” (American Book Review). Keyhole Factory is a novel that opens with an explanation of how Blake Stone’s friendship with his best friend Jasper Pierce disintegrated due to their fight about what constituted bad poetry. They agreed that “poetry was more important than their friendship” (13). The significance is reinforced by Gillespie’s inclusion of his own poetry throughout. For instance, “how can i know whether i have returned / to the same history i left / or whether it is possible to return / when one has traveled as far as i have” (49). The novel’s “web of stories includes a poet-astronaut, a microbiologist contemplating an exit strategy from her high-level job designing biological weapons, a sports-car-driving killer who stages the aesthetic murders of utopian commune-dwellers, and a lone pirate radio disc jockey who may be the last person left alive broadcasting her story to nobody” (back cover). The book’s pages physically reinforce this disparity—blank pages, pages showing only one small image, pages with a few words of text in spherical form, pages covered in text with no paragraph indentations. Keyhole Factory is, indeed, a journey. About the Author: William Gillespie, M.A. ’97, has published 10 books of fiction and poetry under different names. His writing and art have appeared in various publications, including Word Ways: The Journal of Recreational Linguistics and Electronic Literature Collection. He works for the School of Molecular and Cellular Biology at the University of Illinois and lives in Urbana. McReynolds, Linda. Eight Days Gone. Watertown, MA: Charlesbridge Publishing, 2012. 44 pp. 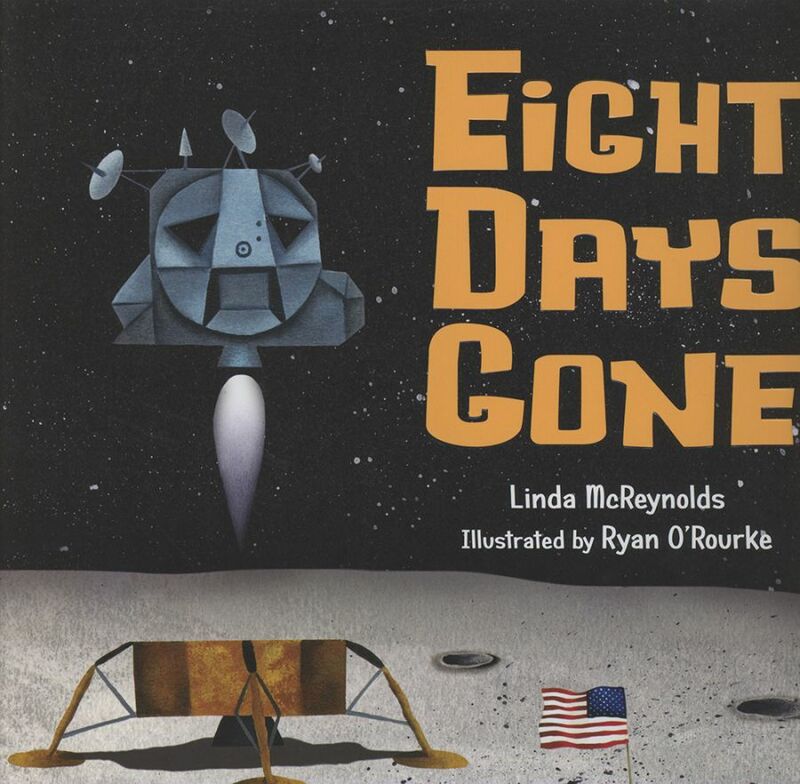 “Eight Days Gone,” by Linda McReynolds. Summary: Most adults “of a certain age” will recall that hot day in July 1969 when Apollo 11 made the first manned lunar landing. Our grandchildren, of course, have no such memory. Eight Days Gone succinctly and poetically describes the launch, landing, and return to Earth of this historic event. Linda McReynolds’ brief rhymes relate the story perfectly to young children: “Hundreds gather. / Hot July. / Spaceship ready— / set to fly.” Ryan O’Rourke’s unpretentious and colorful illustrations add dimension to the narrative, which is aimed at children ages three to six. They will enjoy the language and the artwork. McReynolds does not romanticize the endeavor. Although she focuses on the eight days from lift-off to re-entry, in her deceptively simple poems she places the story within its larger context. The short bibliography provides parents with a children’s book and websites for source material once their children’s imaginations are whetted by this charmingly presented narrative from U. S. history. About the Author: Linda Latimer McReynolds ’97 has a brown belt in karate, is a member of a roller-derby league, and has worked in the office of a trapeze school. She was a member of Gamma Phi Circus and Newman Center while at ISU. This is her first children’s book. She lives with her family in Montgomery. Witschi, Tom. Sammy is Special. Enumclaw, WA: WinePress Publishing, 2012. 32 pp. 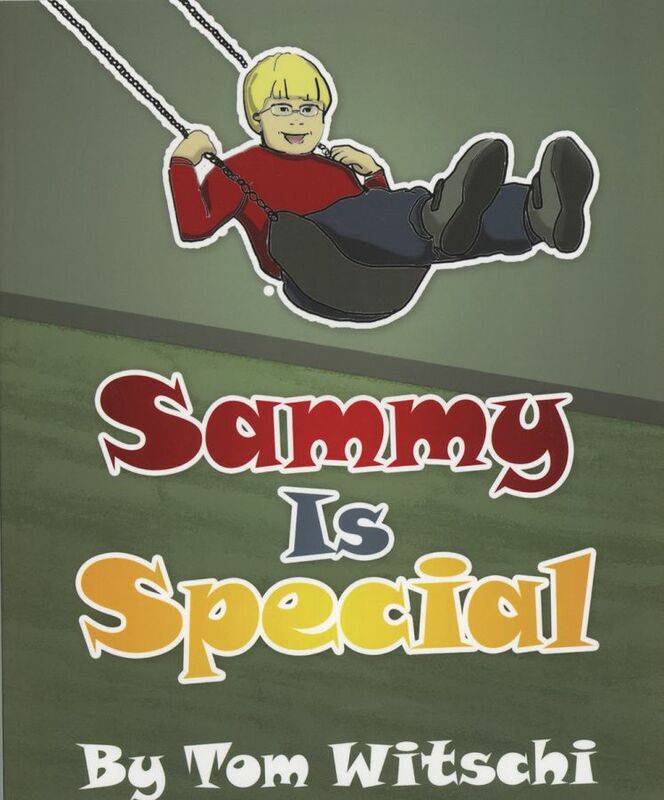 “Sammy is Special,” by Tom Witschi. Summary: “He had a small head, slanted eyelids, and small ears.” When the new family moves in next door, Sonja immediately notices one of the children. Her mother explains that the boy has Down Syndrome. Sammy is Special tells the story as over the years, Sonja puts into action lessons she learned from this remarkable friendship. Tom Witschi’s text, written in simple language, is augmented with illustrations by Katie Erickson. There’s a strong religious element to the story. As Sammy and Sonja became friends, she learned that Sammy worked hard to succeed in school and that he practiced his speech to make it easier for others to understand him. Soon Sammy asks Sonja to go to church with him. The very first time there, when the pastor asked if anyone wanted to have a personal relationship with Jesus, Sonja raised her hand. The narrative of Sammy is Special has an interesting perspective, more from Sonja’s point of view than Sammy’s. 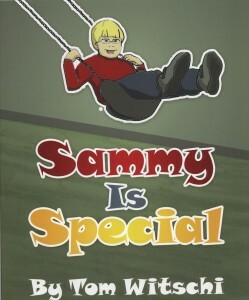 Consequently, we learn how people such as Sammy are important, not only to their family and friends but also to society. About the Author: Tom Witschi ’04, grew up in Woodstock with an older brother with Down Syndrome. He received his master’s degree from Southwestern Assembly of God University in Waxahachie, Texas. He currently lives in Portland, Oregon, and plans to continue writing children’s books.